This gorgeous bright Cottage is located in Upper Constantia, 10 miles south of Cape Town’s City Centre. The Cottage has an extra-length bed and a private entrance. It offers an open plan fully equipped kitchen with dish washer and a fridge/freezer and all other appliances you may need. The 2nd room features a dining and seating area equipped with a flat-screen TV. It also has a sleeper couch available for a 3rd person (surcharge). The bathroom has a shower, a bathtub, a washing machine and a tumble dryer. The communal terrace, swimming pool and Braai area are a short walk through the garden. Secured Parking is available directly in front of the Cottage. Views are out to the garden. The floors are tiled. Please feel free to enjoy our large salt water pool (9 x 4.2m) and the garden and outside seating areas on the property. Our Cottage used to be a garage in the 1980s but was cleverly remodelled to a large 54 sqm flat. 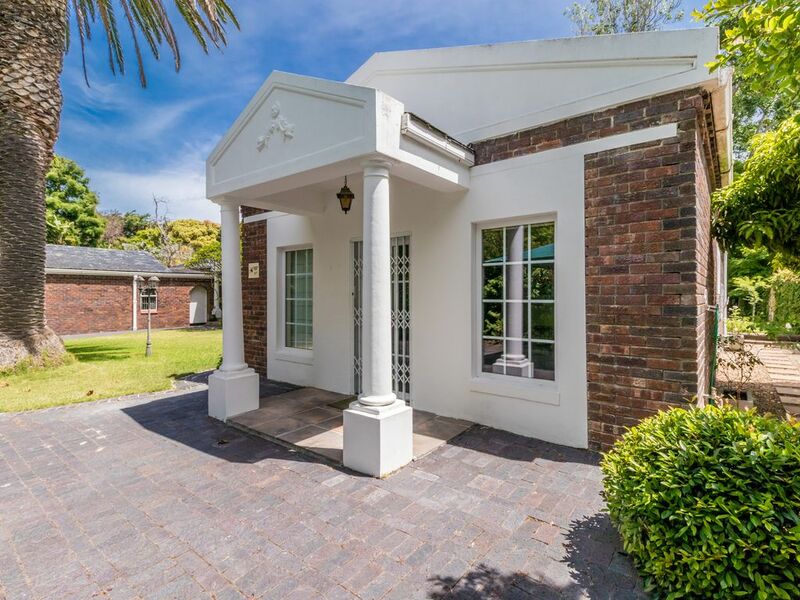 The private entrance is located at the front garden of Alphen Lodge, completely self-contained. The entrance to the Cottage is directly next to the private parking which exclusively is reserved for the guests of the cottage. It is a seating area with extractable sleeper couch and a flat screen TV. The living room is next to the dining area and open plan kitchen.